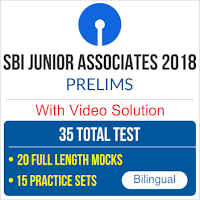 ibps calendar 2018-19, ibps calendar 2018 sbi clerk preparation 2018, sbi clerk vacancy 2018, sbi clerk recruitment 2018, sbi clerk job 2018, sbi clerk exam pattern 2018,ibps clerk 2018, ibps calendar 2018, ibps classes 2018, ibps po 2018, ibps so 2018, ibps previous year paper, sbi clerk previous year paper, sbi clerk expected paper, sbi clerk guess paper, cloze test questions, coze test in english, coze test tricks, cloze test by ratnesh sir, english classes, grammar classes, english tricks. ibps calendar 2018-19, ibps calendar 2018 sbi clerk preparation 2018, sbi clerk vacancy 2018, sbi clerk recruitment 2018, sbi clerk job 2018, sbi clerk exam pattern 2018,ibps clerk 2018, ibps calendar 2018, ibps classes 2018, ibps po 2018, ibps so 2018, ibps previous year paper, sbi clerk previous year paper, sbi clerk expected paper, sbi clerk guess paper, ranking and order questions,ranking and order tricks, ranking and order in reasoning, ranking and order for ibps. current affairs 2018, current affairs 2018, current affairs march 2018, current affairs march 2018, current affairs hindu 2018, hindu current affairs, breaking newss, kush pandey, current affairs, adda247 current affairs, daily current affairs 2018, hindu newspaper, sbi clerk 2018, rrb alp group d, upsc, ib acio, ssc chsl, ssc mts, ssc cgl 2018, kush pandey, ca, cpo 2018, cds,upsc current affairs 2018.